I’ve always been skeptical of big corporate organisations, preferring the small and independent brands – especially in snowboarding. 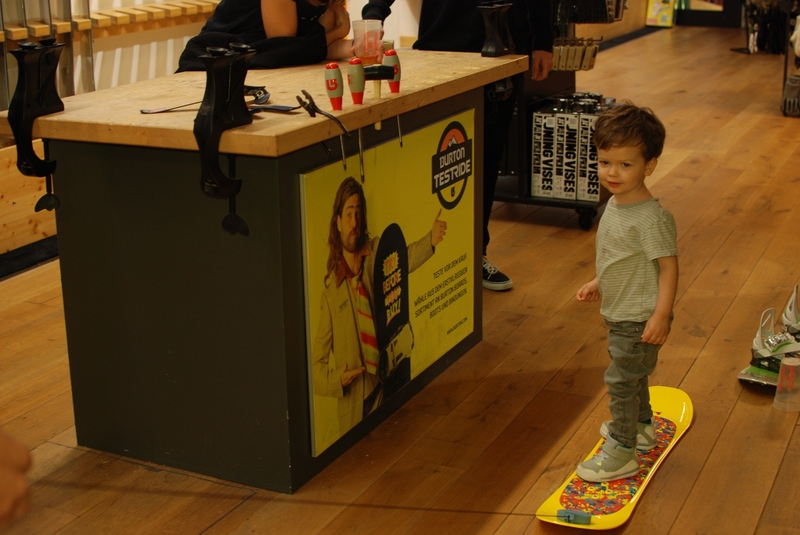 So when I was invited to attend the Burton Winter ’15 Launch in my new role as German Editor for Boardsport Source Magazine, I wasn’t going there with bells on and enthusiasm oozing. 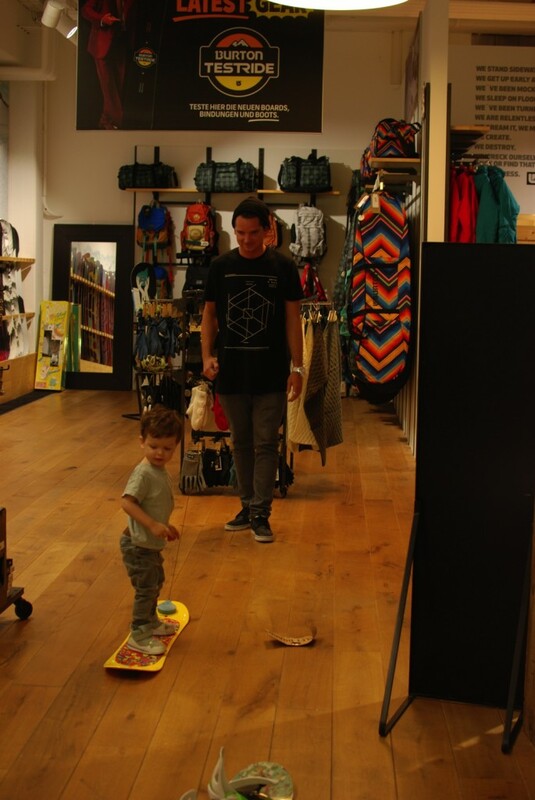 But as I started talking to the riders and watched Marko ‘Grillo’ Grilc drag his son around the store on his brand new Burton Riglet, my view started to shift. 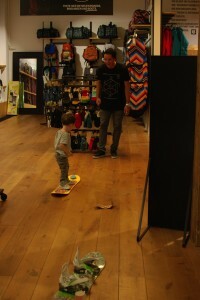 Especially watching the face of that 2 year old light up as the board started moving, adjusting the balance and trying out different stance variations (facing forward with feet together next to each other only lasted a split second…clever boy). 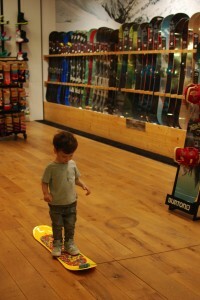 I’m not planning on having any kids any time soon but if I do, I’ll be glad there is a corporate snowboard company big enough to be able to spend money on developing things like the Riglet, which is probably not balancing out the research investment in turn overs but most certainly in ideology. 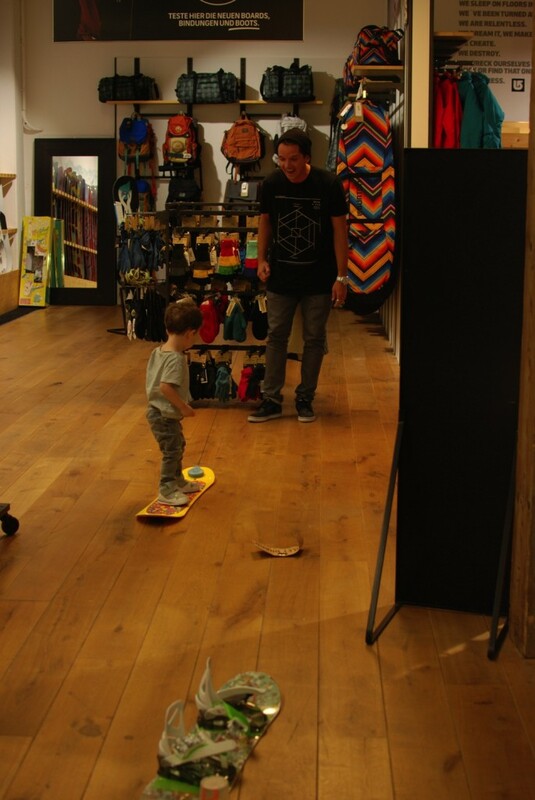 Without edges but an attached leash, the Riglet is the perfect way for the little ones to get used to the feeling of sliding. Outside in the snow or through your own home, over floors and carpets alike. A great way to playfully introduce the offspring to the sideways standing lifestyle, which comes quite naturally to them as well, as Grillo’s son showcased last night. A message Burton will help to spread to the masses, where it’s still common belief that kids need to start riding on two smaller planks, also know as skis. They already started with the Riglet Park Tour last winter, where they stopped at shops in cities all over the continent, introducing parents and kids to the Riglet and the Riglet Reel “drag around” feature. That this is a great marketing scheme is out of the question but also out of the discussion, at least for me. Because a brand investing so much thought and effort into the future of my beloved sport might as well make some money out of it. There are more than enough players doing exactly that without giving anything back. 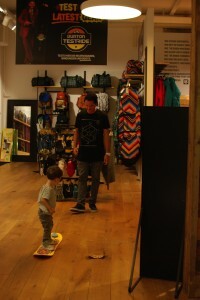 Schlagwörter: austria, boardsports, event, innsbruck, review, snowboarding und tyrol.